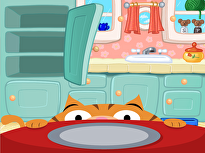 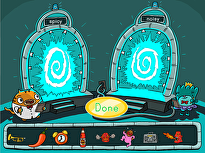 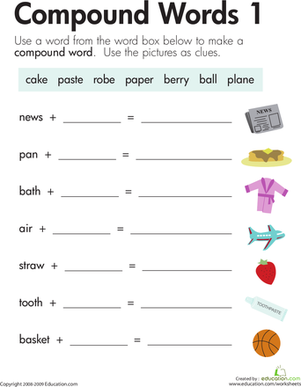 Learn all about compound words with this worksheet. 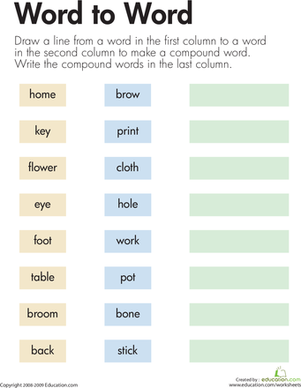 Your second grader will match two words together to form a compound word. 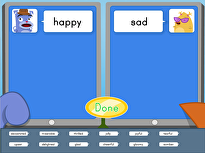 He'll build his vocabulary as he strengthens his spelling skills. 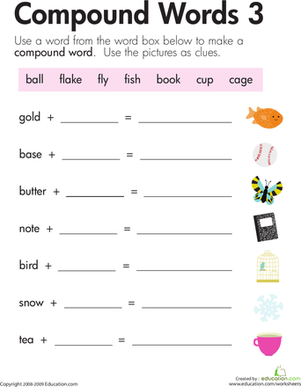 Give your second grader some valuable practise with compound words. 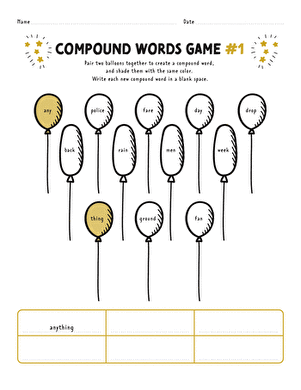 Formed from the words on the balloons, she'll write new words in the blank spaces. 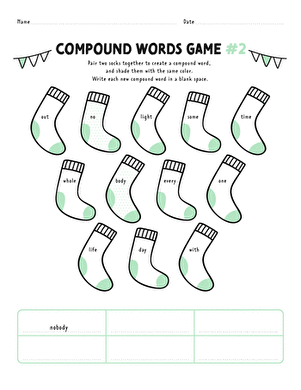 Can your second grader take the words in this "sock pile" and transform them into compound words? 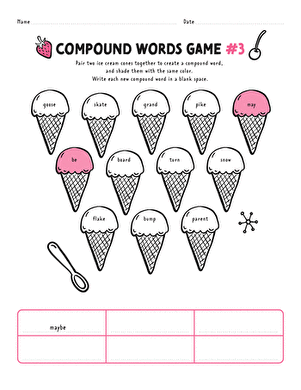 This colorful, ice cream cone-filled worksheet asks your second grader to mix and match words to make her own compound words!